The AuSable RIver Canoe Marathon held annually in Grayling since 1947 is the premier canoe race in North America. 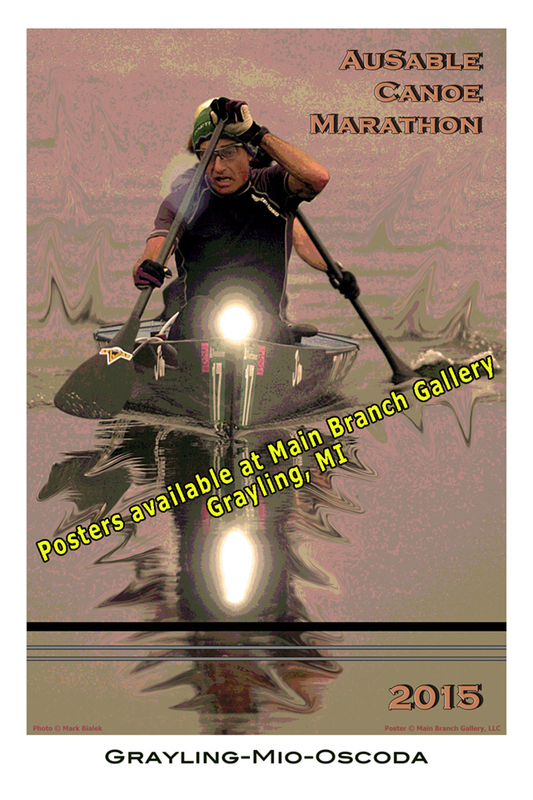 This is the third in our series of Canoe Marathon Posters. Photographed by Mark Bialek & posterized by Main Branch Gallery, limited edition numbered prints are available 13” x 19” High Quality glossy print (qty 100) and 20” x 30” (qty 100) Poster print. Framed posters are also available.